We currently live in an age of rapid technological progress and continuous innovation. Yet in many areas, such as the transportation sector, advancement has been stagnant. Public transportation has seen little development over the years, but leave it to Elon Musk to change that. The possibility of a new futuristic mode of transportation is just around the corner with a concept called the Hyperloop. 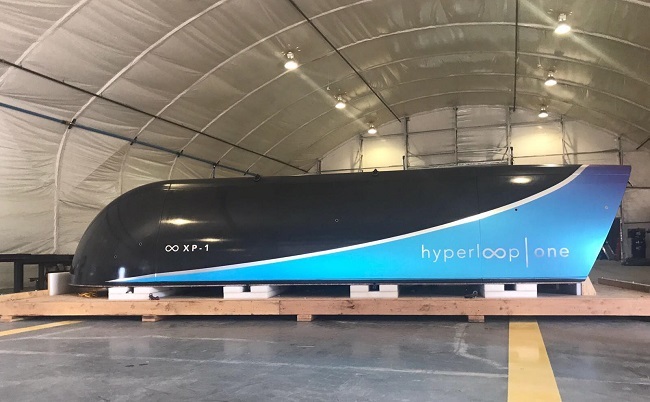 Elon Musk introduced the Hyperloop as a fifth mode of transport, standing to revolutionize mass transit as a high-speed, high-efficiency, and safe alternative while reducing environmental damage in the process. 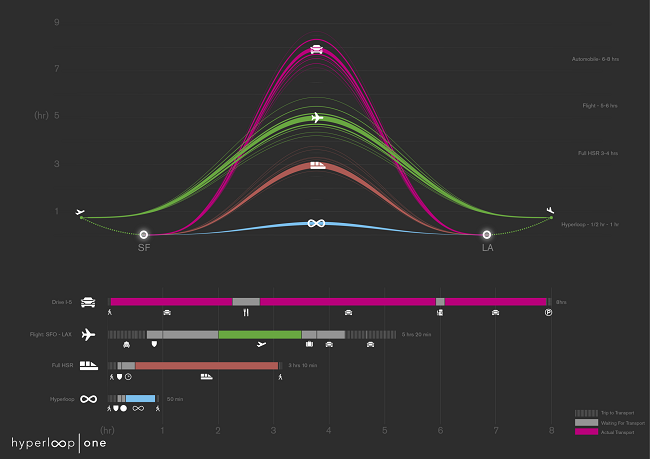 Elon Musk, CEO of Tesla and SpaceX, first imagined the Hyperloop in 2012s. The concept is similar to the railway system, but instead, transports passengers in pods through vacuum tubes via magnetic propulsion. What's unique about the design is its capability of transporting passengers at speeds up to 700 mph (1127 kmh). SpaceX has since explicitly open-sourced the Hyperloop to the public, encouraging others to further enhance and develop the concept. In result, a few companies have emerged and are currently working towards advancing the technology. The Hyperloop is first of its kind and while it does employ some advanced technology, the way it works is quite simple. 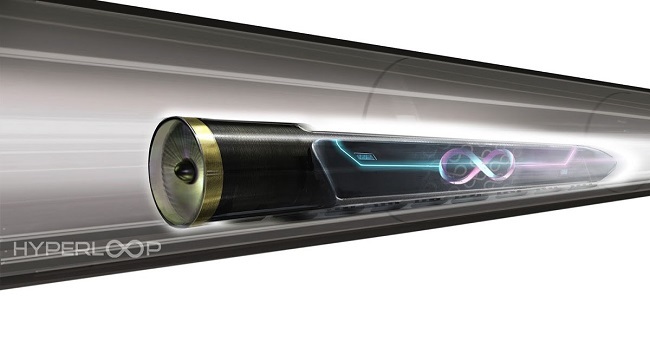 The main component of the Hyperloop is the vacuum tube. 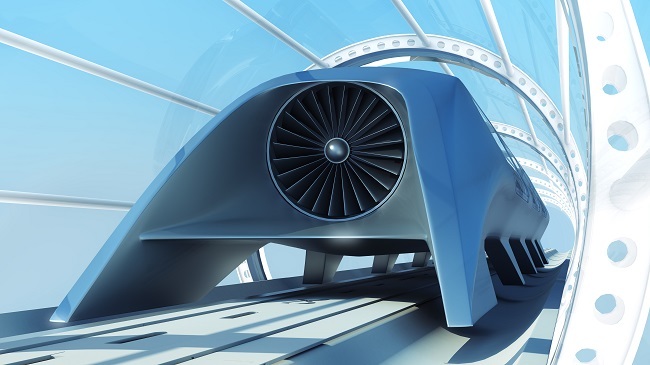 This pylon-supported tube creates a low-pressure environment allowing passenger pods to travel through the tube with very little air pressure to slow them down. The pylons give the tube flexibility, therefore allowing it to withstand any shifting on the ground such as an earthquake. Furthermore, each pylon contains adjustable lateral and vertical dampers to absorb any small movements between pylons. The tubes also support solar panels, allowing for a clean and self-powering system. The Hyperloop will be fully sustainable, generating far in excess of the energy needed to operate. It can also store enough energy in battery packs to operate at night and for periods of extended cloudy weather. As for the pods, an electric turbo compressor is responsible for compressing air from the nose and routing it to the rear and sides of the vessel. The displacement of air through the pod air-bearings creates an air cushion around the pod, suspending it in mid-air within the tube. Pods will be propelled by an external linear electric motor. First, an electromagnetic pulse gives the pod its initial thrust. With magnetic accelerators planted along the length of the tube, the pod is propelled to subsonic velocity. To control and maintain velocity, “reboosting motors” are fitted at every 70-mile mark, to keep the pod moving at just below the speed of sound (761 mph/1,225 kmh) in order to avoid any sonic booms. As of today, there are a couple of Hyperloop competitors. However, there are two in specific that have made the most progress: Hyperloop One and Hyperloop Transportation Technologies (HTT). Both are currently developing their own Hyperloop systems and test tracks. 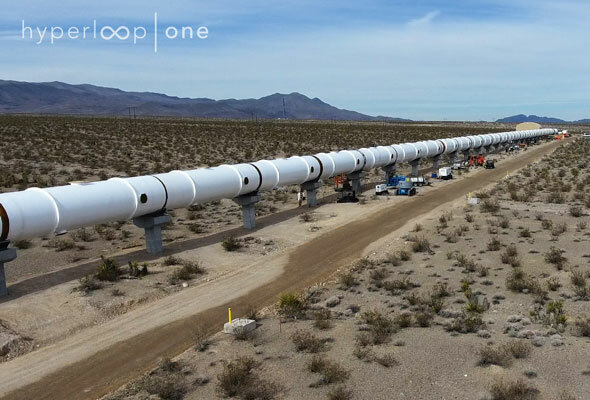 Hyperloop One (H1) was incorporated in 2014 and has since built a team of 280+, which includes engineers, technicians, welders and machinists. With significant backing by investors, H1 is now operating from a 75,000-square foot Innovation Campus in downtown LA with a 100,000-square foot machine and tooling shop in North Las Vegas. 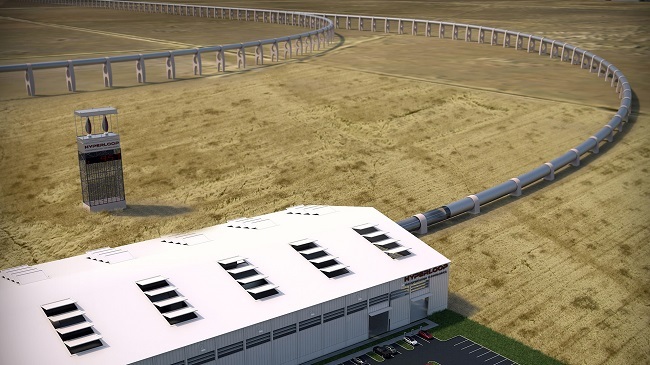 It has also recently completed its 500m Development Loop (DevLoop) in North Las Vegas, Nevada which serves as the testing tube for its pods. H1 made history on May 12, 2017, being the first company in the world to test a full-scale Hyperloop. The system-wide test successfully integrated all necessary Hyperloop components, which include vacuum, propulsion, levitation, sled, control systems, tube, and pylon structures. The company has even revealed images of its first generation pod, being the first to ever build a prototype. It hasn't been tested yet, but H1 plans to use the prototype at the DevLoop test site in Nevada to mainly test the pod’s aerodynamics. H1 is currently conducting numerous studies to map out Hyperloop connections all over the world. These include a connection between Helsinki and Stockholm and even a cargo off loader system at DP World's flagship port of Jebel Ali in Dubai. Many other feasibility studies are underway in Russia, Los Angeles and the Netherlands. 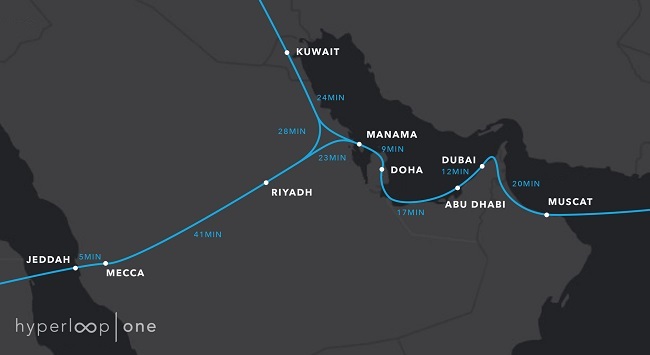 H1 has previously claimed that they could have an operational system built in the UAE within the next five years, but they also plan to expand this system to link neighboring Gulf countries including Saudi Arabia, Kuwait, Bahrain and Muscat. Hyperloop Transportation Technologies (HTT) is another worthy competitor with a group of more than 800 engineers and professionals located around the world. Co-founded by early Uber investor Shervin Pishevar and former SpaceX engineer Brogan BamBrogan, HTT has received plenty of backing from investors. HTT has been making great progress, currently planning on building a 5-mile (8 km) test track along a stretch of road near Interstate 5 between Los Angeles and San Francisco. Instead of testing pod speed, the purpose of its first prototype is to test and tweak practical elements like station setup, boarding procedures, and pod design. Similar to H1, HTT has also made an impact in the Middle East. 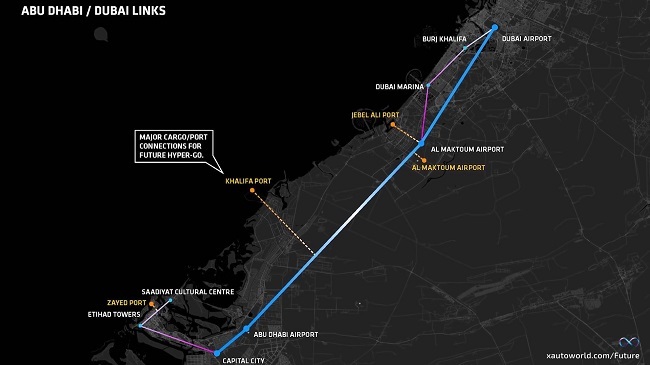 The Abu Dhabi Department of Municipal Affairs and Transport (DMAT) announced an agreement with Hyperloop Transportation Technologies to undertake a feasibility study to connect Abu Dhabi and Al Ain which is another city in the UAE – 170 km away. All our current means of transportation (road, water, air, and rail) are still environmentally harmful, relatively expensive and simply slow, making a future sustainable mass transit solution quite crucial. The overall purpose of the Hyperloop is to provide a superior transport system than our rail travel systems available today. Although relatively energy efficient and the most environmentally friendly option, rail transport it is still too slow and expensive to be massively adopted. The Hyperloop offers a cost-effective, high-speed transportation system that is safer and more efficient than any other mode of transport. Being most effective for moderate distance, Musk’s initial proposition for a Hyperloop connection was San Francisco to L.A., claiming it to be an optimal travel distance. In support of the Hyperloop, Musk compared the costs of the current SF-LA rail project and the Hyperloop. The estimated total cost of a SF-LA Hyperloop could possibly be kept under six billion dollars whereas phase one of the high-speed rail project currently underway is expected to cost at least $68 billion. In addition to all its beneficial features, the Hyperloop also offers potential economical gains. With faster and cheaper travel, connected cities will enjoy an increase of not just cross-border travel but trade as well given that the Hyperloop could replace freight transport systems as well. We will never be sure whether commercial Hyperloop systems will ever be widely adopted, but as the global population increases and our environmental state declines, a better mass transit system is essential. There are of course a few drawbacks as well. Most notably, high-speed movement through a tube prevents large turns or changes in elevation, resulting in only straightforward trips across relatively level terrain. However, the more concerning issue in realizing such a project is the sign-off. Even with an impressive concept, there are still issues of public approval, legislation, regulations, and contractors to worry about.